Finding website hosting, domain registrars, and email services can be super overwhelming and confusing. There are so many options out there all doing their absolute best marketing. All of them are making amazing promises but the thing is, you can’t tell which ones are for real. What you need is reliability and great service. You want to find a support desk that is working with you and not against you. A support desk that makes things easy and cares about you. You don’t want to be just another client, another one of the thousands of customers they have. But it’s not easy to find that, especially if your day-to-day is working with clients in your psychotherapy office and not with web hosts, domain registrars, and email services. How can you get the experience needed to know the difference? To be familiar with the word on the street? Figure out what you need in each service, make a list before you even start the search. It’s easy to get “wowed” by all the bells and whistles on offer and swept into purchasing something that looks great but isn’t a good fit. Avoid this by knowing what it is you need. In terms of website hosting, ask your web developer what you need (I also give a general recommendation in this post which may work for you!). Match up recommended services to your needs. Stick to your plan and find the best fit for you – keeping your future in mind. Try it out, and pivot, update, or migrate as needed. You are not married for the rest of your life to your website hosting or registrar or email service. You can change down the road if needed so should you choose something that isn’t the best fit for you, you can change down the road. Good customer service – This is beyond a want, you NEED them to be there for you should something happen or even just for questions or general support. Experience – These are not areas of your business that you want to risk on testing out the new kid on the block who’s launching a server from his mother’s basement in Kentucky. Reliability – Downtime happens but let’s go with services and utilities that have a good record for uptime. ** Offers WordPress Hosting and I’m affiliated because they are so awesome! “Founded in 2004 by a few university friends, SiteGround gradually but steadily turned into a leading web hosting service provider. With only a handful of people working from their university dorm rooms in the beginning, today the company has more than 280 employees and is constantly growing.” – about Siteground. Siteground has 4 data centers: Chicago, London, Amsterdam, and Singapore. This means their reach is global. Even Australian’s can get onto the Singapore servers and experience incredible performance. Why choose Siteground: fast, secure, above and beyond excellent support (24/7 chat). “The year was 1997. The scene was a college dorm room. Four friends with a love of technology, open-source software, and a strong desire to help people get online banded together to create DreamHost. Built on open-source technology with a commitment to customer success, DreamHost provides domain registration, web hosting and cloud services to 1.5 million sites” – about Dreamhost. Why choose Dreamhost: known for some of the best service in web hosting, employee owned and operated. “In 1995, I needed a really great Web host but I couldn’t find any. So I built one.” – Kevin Martin, Founder and CEO of pair Networks, Inc. Pair is like the reliable and trusted grandfather of all hosting. Established in 1995, Pair still continues excellence in hosting in terms of reliability and customer service. Why choose Pair: tried and true, this hosting has a long track record for being high quality and reliable. This is the host I would recommend for anyone looking for a European-based VPS. Maybe I’m biased because I’m friends with the owners, or maybe that “bias” is just the fact that I’ve seen first hand how much these guys care about what they do. They are working to constantly improve their systems, infrastructure, and their support staff’s knowledge. Why choose EuroVPS: enterprise level VPS at good prices with outstanding support. If you would like some separation between where your domain is registered and where your hosting is, it may be a good idea to find a domain registrar. These two are awesome! Namecheap gets the award for the best user interface! It is so intuitive and makes purchasing domains, managing domains, and finding information in their vast knowledge base so incredibly easy. And that’s a huge plus. Ease. I’ve mentioned Hover before in another post recommending their awesome $5 forwarding service. As it turns out, they are also a great stand alone domain registrar. Reliable, great customer service, and they know what they are doing. They have a FREE domain transfer service where they will transfer your domain for you over to them. Plus, should you need a forwarding service with your domain, the $5 forwarding would allow you to use a free email service like gmail until you upgrade to another solution. Some people would argue it’s unwise to put all of your eggs into one basket but I think google apps for mail is great. You get a suite of other apps along with your email services. You are going to have to have a google account anyway in order to use other google services that are necessary or nice to have for online marketing like webmaster tools, youtube, google plus, and analytics. It’s not a question of if you should have a google account, it’s a question of if that google account should be upgraded to google apps (the paid version) which also gives you the ability to use the pro version of gmail along with your domain based email address (“@katlove.com” instead of “@gmail.com”). This is one of the top recommended alternatives to google apps when it comes to email. Fastmail also comes with some extras like calendars, a mobile app, and the ability to use your domain and aliases. Customer service is supposed to be excellent! I haven’t tried Hushmail but Roy recommends it! Although Fastmail and Google Apps both have security that they have in place, Hushmail has a particular emphasis on having extra layers of security like data encryption. This above and beyond security may or may not be necessary but it’s worth looking into and knowing this option is there for you. Beyond excellent customer support teams. Beyond excellent documentation or knowledge base. Namecheap is a registrar that I’ve started using recently, who also has excellent support. However, I’m not even sure you’d need to be in touch with a support person with all of the thorough and up-to-date information in their knowledge base. Registering your domain with namecheap keeps your domain and hosting separate so if for some reason you need to change your hosting down the road, it’s easy to do (your domain and hosting aren’t bundled together). Google apps for mail allows you to use google mail which is robustly featured mail and also keeps your mail separate from your hosting (which is a good thing). It is very overwhelming and confusing to find reliable, fast, secure services that won’t rip you off and will be there for you when you need them to be. However, going with recommendation from a knowledgeable professional can help you narrow things down. 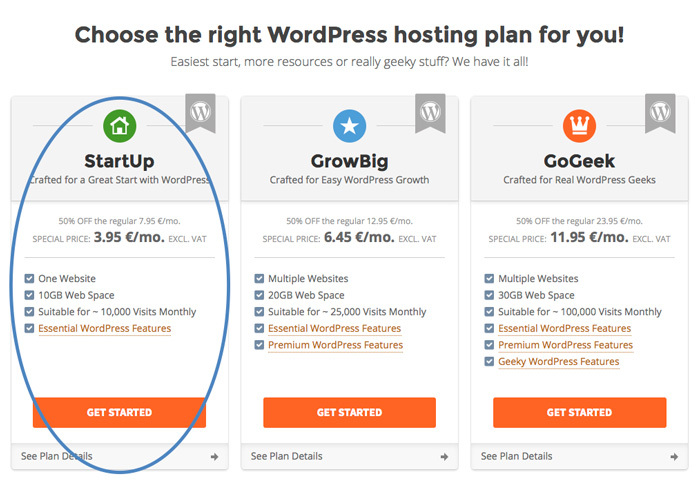 The Siteground StartUp hosting plan, plus domain with Namecheap, plus the Google Apps for mail suggestion is just one suggestion. The way you proceed in your specific case may differ as it needs to be based on you. What do you need when it comes to hosting? Or domains? Or how you manage your email? Finding the ideal solution for you may take time but it’s not impossible. I would love to know what you think of these suggestions. Are you currently using any of the above listed services or utilities? Or is there something you would recommend? Who hosts your website? Where is your domain registered? And do you have a stellar email service? If you’d like to let me know what you think you can always contact me or tweet me anytime. I love hearing from you.